Journey back to the time of Gods and join Perseus on his exciting adventures through the mythical world of ancient Greece. 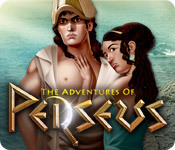 Help Perseus defend his honor by mastering Match-3 puzzles as well as a variety of mini-games. Challenge yourself to different game modes and difficulty levels to make yourself part of the myth. Collect heroic gear along your way and help build an ancient city. Will you be able to win the favor of Gods and use their patronage to overcome the obstacles in front of you? Experience a variety of challenges across 85 levels. Play 3 different game modes and choose between 3 difficulty levels. Find heroic gear and win the favor of the Gods of Olympus! 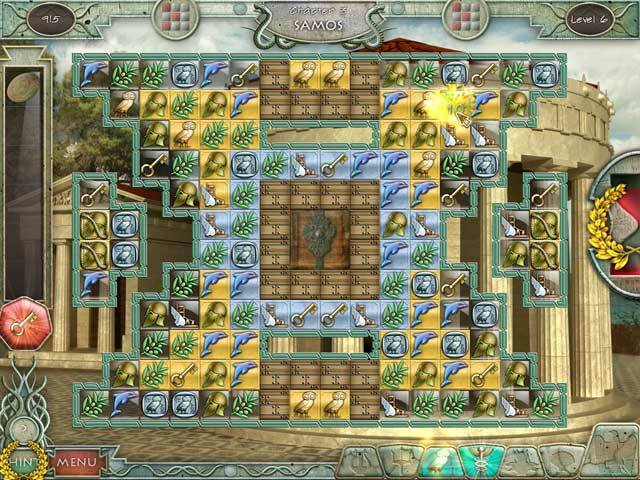 Take swap-to-match, click-on-a-group and chain-to-match gaming mechanics, add a dash of scattered types of puzzles and a pinch of hidden object scenes, and you have the Match-3 buffet of The Adventures of Perseus. The goal of each match-3 level is to clear all of the gold and iron tiles on the screen to proceed. 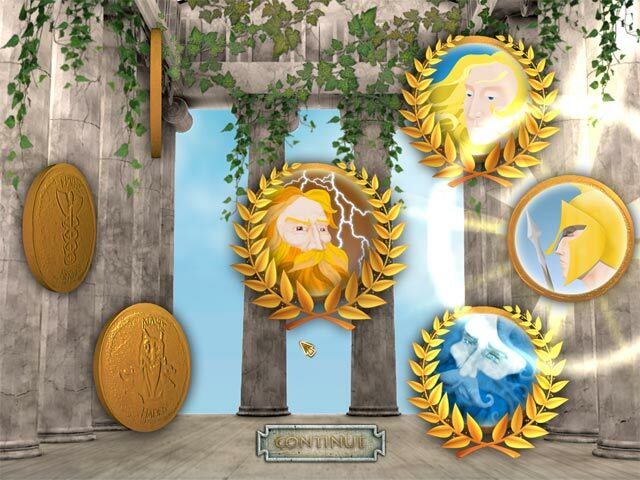 Collect various Gods' golden trinkets to fill their meters and call forth their powers to help you clear the board. These items don't have to be matched - just click on them when you spot them~! Match 5 or more pieces to gain a golden bomb in the playing area. You can swap this bomb with any other piece on the board, meaning that you can detonate it wherever you wish! Along the way you will have to collect quills or keys to unlock areas of the playing field, netting you blueprints for your growing city or items to help you with your journey. Unlike the 2nd game in the series, Jason and the Argonauts, there are no choices for building-style. New areas will automatically be built when you find the plans. The story of Perseus was entertaining, but skippable if you prefer. The narrator's voice was perfect for the drama of this story from Greek Mythology. I absolutely loved the way they incorporated Medusa into the gameplay on this one! 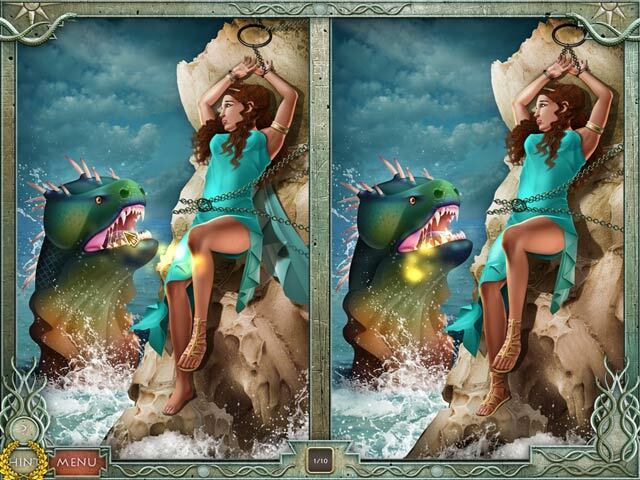 The Adventures of Perseus is a solid match-3 game, with different styles to keep things interesting, and the occasional puzzle or hidden object scene to go with the story. Recommended!